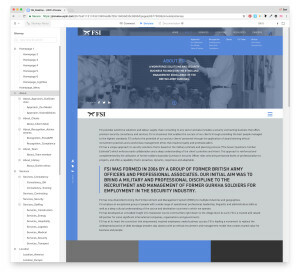 FSI Worldwide was formed in 2006 by a group of former British Army Officers and professional associates. Their initial aim was to bring a military and a commercial discipline to the recruitment and management of former Gurkha soldiers for employment in the security industry. FSI Worldwide has now diversified to bring the FSI Recruitment and Management System (FRMS) to multiple industries and geographies. FSI Worldwide provides three broad services; Consulting in both theLabour Supply and Security arena, Manpower Solutions and Security. FSI Worldwide‘s approach is to closely engage with a client to fully understand requirements and constraints. FSI brings an in depth understanding of the labour supply markets across the globe and with a deep geographical reach, they are able to help clients wishing to establish contracts overseas, to deliver success. Similarly, they have extensive experience in the design and management of physical security and the deployment of armed guards to sensitive sites. The FSI website follows a color code to divide all the main categories of the site. The content is quite divers and some of it goes to a deeper level than usual. 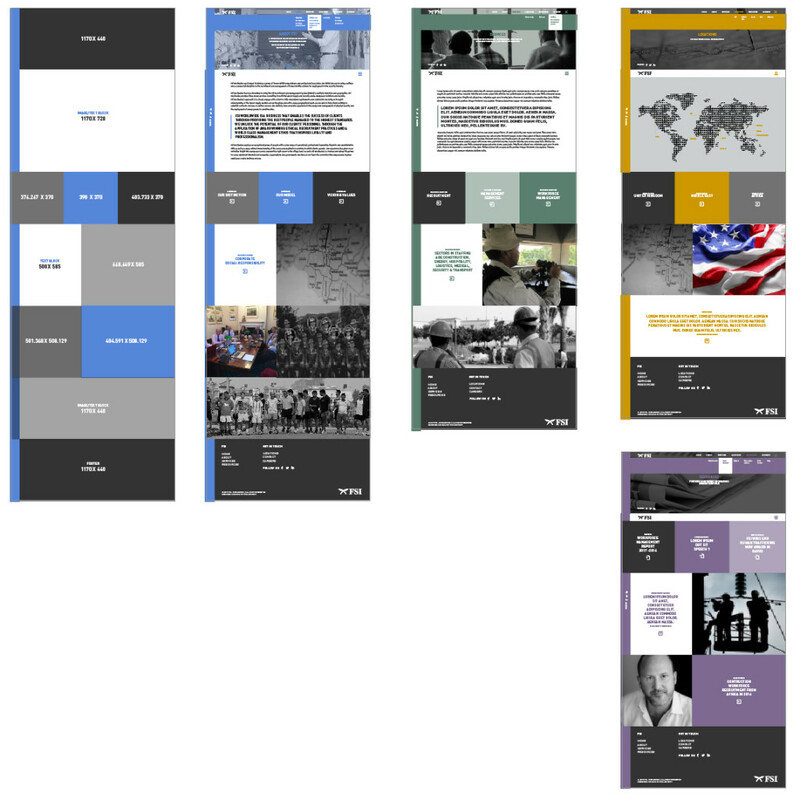 We used UXpin to build the wireframe prototype to present what we wanted to achieve to the client on one side and to test the user experience on the other side. FSI WORLDWIDE IS A BUSINESS THAT ENABLES THE SUCCESS OF CLIENTS THROUGH PROVIDING THE BEST PEOPLE MANAGED TO THE HIGHEST STANDARDS. WE UNLOCK THE POTENTIAL OF OUR CLIENTS’ PERSONNEL THROUGH THE APPLICATION OF AWARD WINNING ETHICAL RECRUITMENT PRACTICES AND A WORLD CLASS MANAGEMENT ETHOS THAT INSPIRES LOYALTY AND PROFESSIONALISM.